The Lions Gate Chorus is looking for new members in preparation for a major international competition on Oct. 17-22 in Las Vegas, Nevada. Sep. 10, 2016 4:00 p.m. The Lions Gate Chorus, an 80-member choral ensemble, is gearing up to compete at the Sweet Adelines International’s 70th annual International Competition & Convention Oct. 17-22 at the MGM Grand Hotel & Casino in Las Vegas, Nevada. 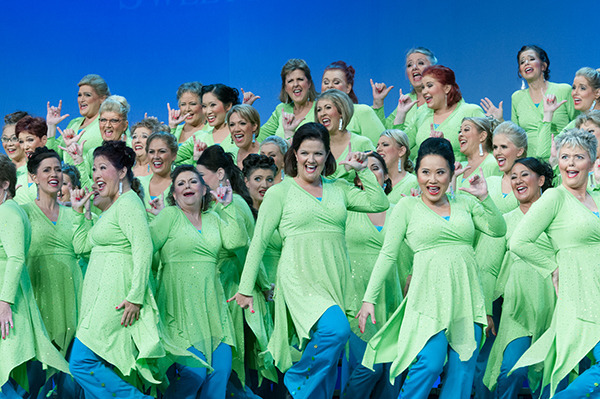 The group, which performs both contemporary pop hits and barbershop classics, is part of Sweet Adelines International, the world’s largest singing organization for women, boasting 23,000 members from five continents. The chorus has represented Western Canada at the international competition 12 times and in the last decade has consistently placed in the top five. North Delta resident Jenny Chou got involved with the chorus four years ago at the behest of an old friend. She says the chorus gave her a chance to reconnect with music, something she had found difficult due to the demands of her career in health care and her young family. Perhaps most important, however, is the sense of camaraderie Chou says the members of the chorus inspire. The Lions Gate Chorus is holding an open house for prospective members on Tuesday, Sept. 13 from 6:30 p.m. to 9:30 p.m. at 3403 East 49th Avenue in Vancouver to answer questions and perform a few numbers for those in attendance. For more information visit lionsgatechorus.ca.